Sunday Quote!- Trading Off the Bible for Science? | J.W. Wartick -"Always Have a Reason"
Sunday Quote!- Trading Off the Bible for Science? Trading Off the Bible for Science? 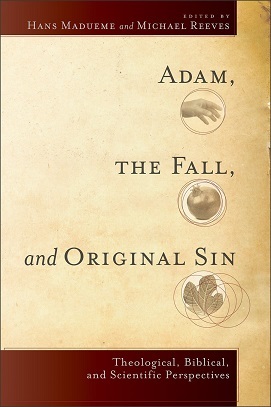 Adam, the Fall, and Original Sin was one of the most thought-provoking books I’ve read recently. The range of essays offered was excellent. Even when I disagreed, I was challenged. I think the language of “trade-off” here might be viewed as a rhetorical flourish. The next phrase is equally weighted to seemingly back-load a specific reading of the story of the fall into what is “plausible” over and against that which is “scientifically plausible.” Although I think there may be something of a trade-off in some sense, in order for this qupte to be true there would have to be an inherent inverse relationship between evolution and the Bible. This may, in fact, be the case, but there are a number of steps that need to be proven before one can get to that point. More intriguing, perhaps, is the notion that we could recast this “trade-off” between exactly how much science we want to read into the Bible and how biblically plausible we are. I would argue that the more we insist that the Bible is explicitly revealing specifics of exact empirical science, the more we do damage to the text. This is a position that does not see science and the Bible as in complete opposition to each other, nor does it see the Bible as scientifically inaccurate or as “non overlapping magisteria.” Instead, where the Bible speaks to scientific issues–if anywhere–those are affirmed. Where it doesn’t, we should not insist that it does. What do you think? Is there really a trade-off between science and the Bible? If so, in what way? Hans Madueme, “The Most Vulnerable Part of the Whole Christian Account: Original Sin and Modern Science” in Adam, the Fall, and Original Sin edited Hans Madueme and Michael Reeves (Grand Rapids, MI: Baker, 2014). « Really Recommended Posts 2/20/15- Egalitarian Marriage, Ken Ham, Kids, and more! I am in the middle of watching Christian Smith’s How American Youth (Mis)Understand Science and Religion, a lecture presented at the “Pastoral Issues in Science and Human Dignity” symposium at University of Notre Dame, February 12–14, 2014. Based on his research done on the “National Study of Youth and Religion”, he notes (~7m, data at 14m) that the vast majority of youth today believe in the conflict thesis, the war between religion and science, despite the fact that it is almost entirely propaganda. Maybe Hans Madueme has unwittingly accepted it as well? How about we stop forgetting history (necessarily, the consequence of that is wandering off into myths), and stop doing terrible philosophy?